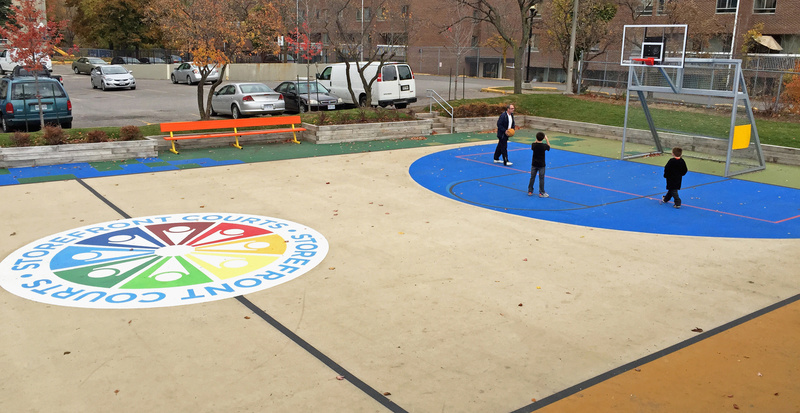 The East Scarborough Storefront is a social services hub located next to residential apartment towers in the Kingston-Galloway and Orton Park neighbourhood of Toronto’s inner suburbs. 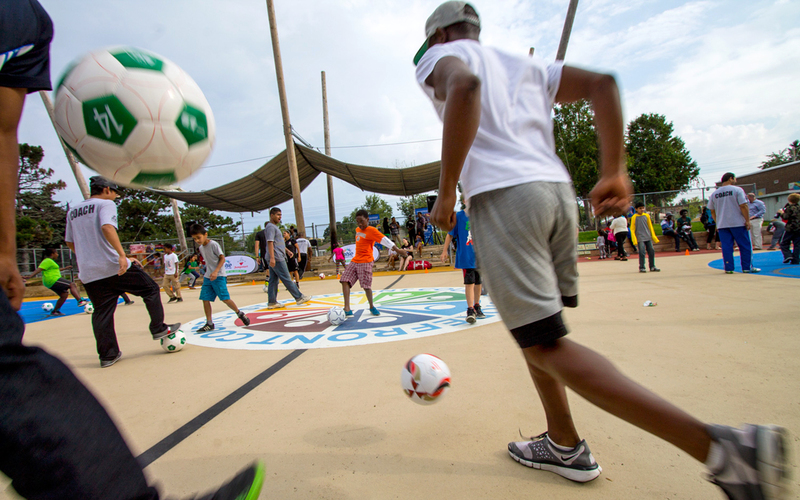 Over several years, designers and architects have worked with local residents and community organizations to transform the site – a former police station and underutilized land – into a dynamic campus of community spaces offering multiple services to the diverse communities of East Scarborough. 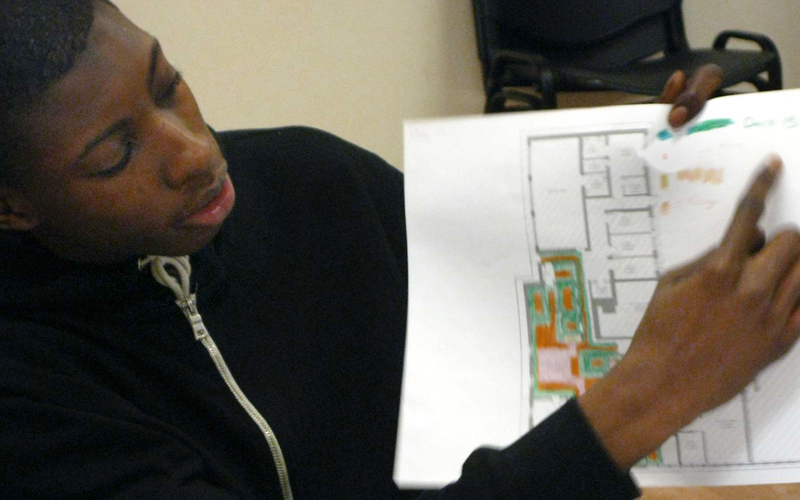 This project was driven by a youth engagement program called the Community Design Initiative, which provides mentoring to local youth who learn design, construction, project management, and leadership skills. 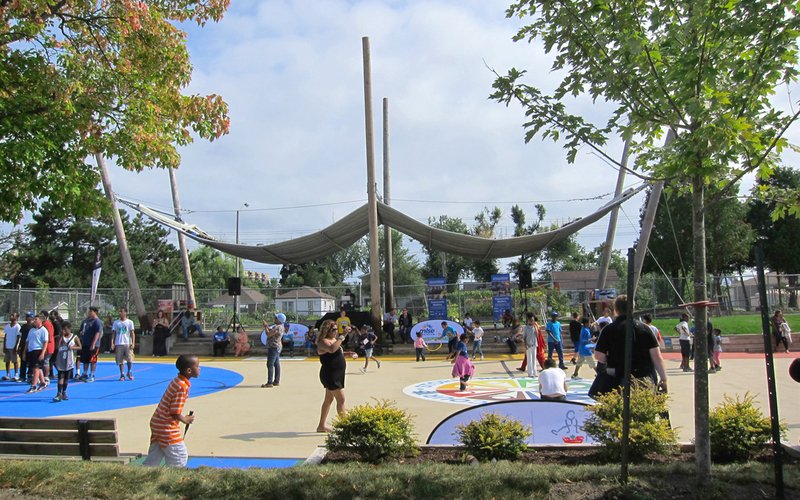 The initiative included the design of the Storefront building, a community garden, a “floating” bioswale that doubles as a shade structure, and a former parking lot converted into a multi-purpose sports court. 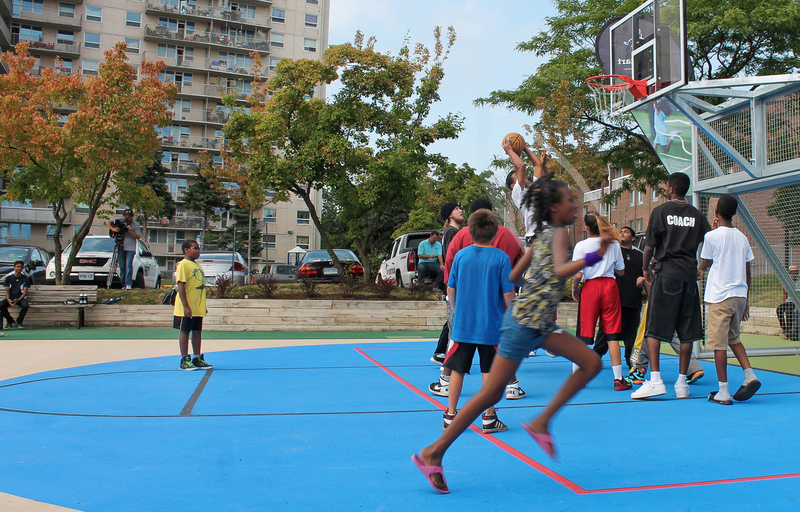 At the invitation of the project partners, we helped to facilitate a community-oriented process to design the graphics for the sports court. 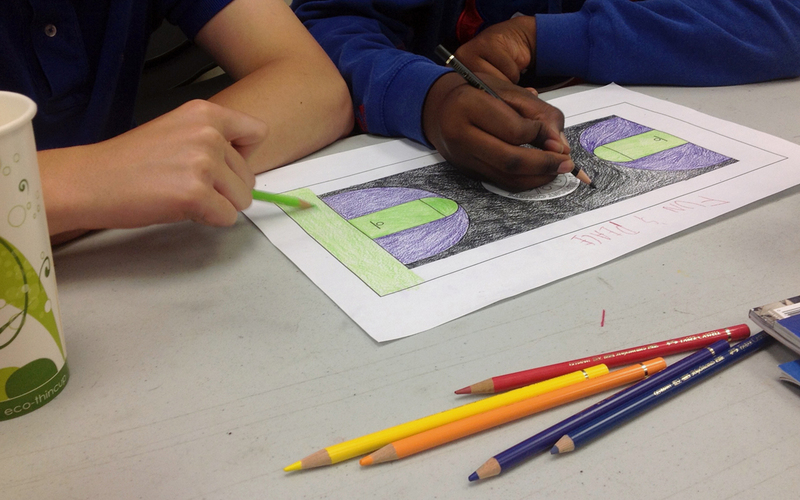 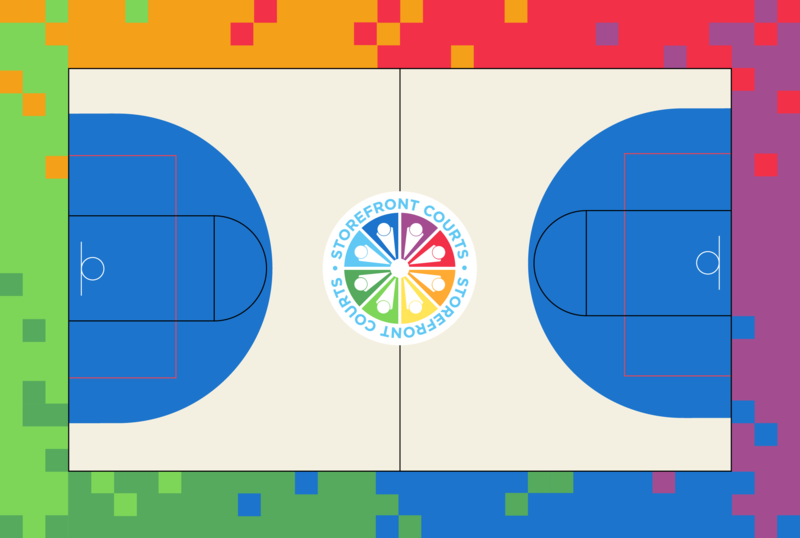 We mentored local youth as they designed the graphics and centrecourt logo for the sports court. 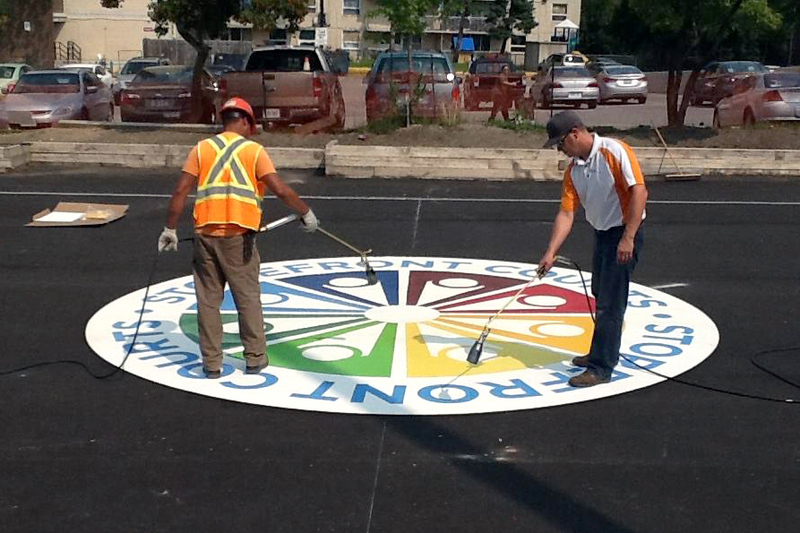 The multi-coloured mosaic of tiles, constructed from recycled rubber material, was chosen as a symbol of neighbourhood unity. 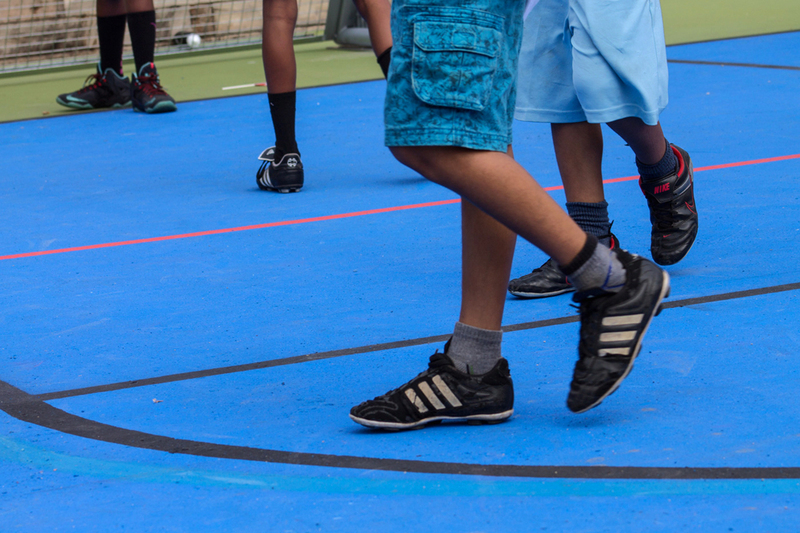 The completion of the sports court represented an important site improvement for residents of East Scarborough. 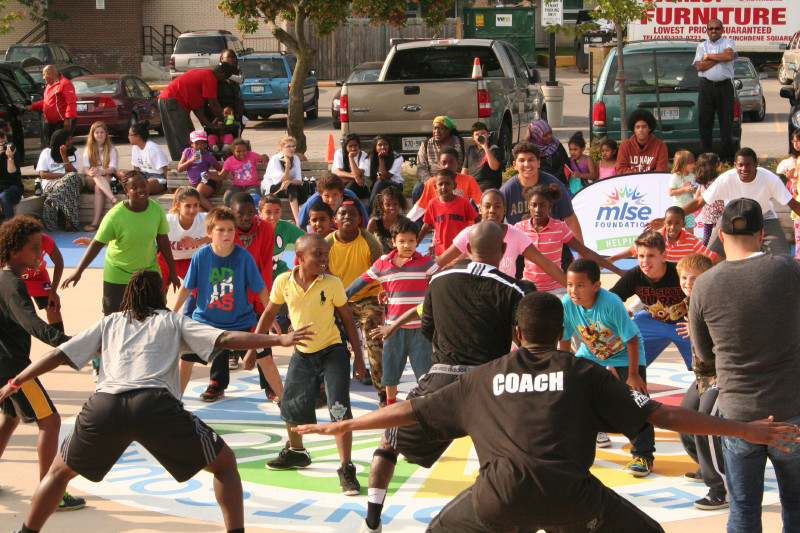 This new public space has been adopted as a safe place for basketball, soccer, performances, and a place to meet neighbours. 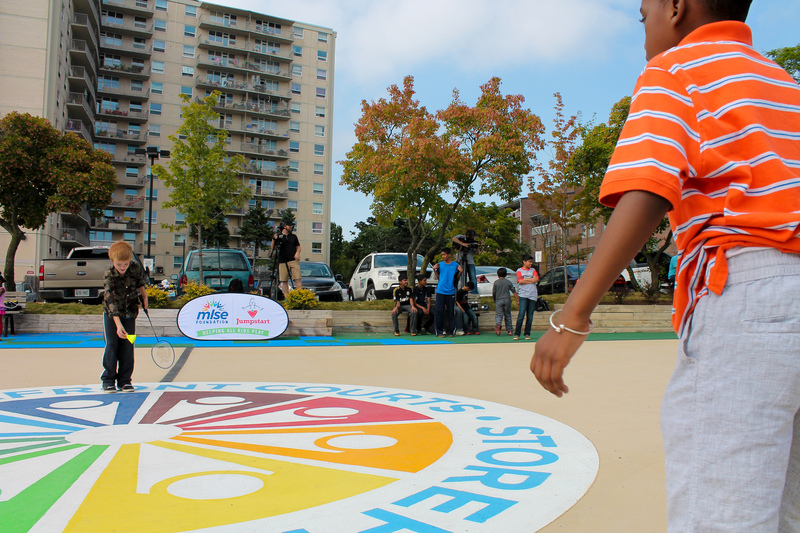 Highlighted by an award-winning community design process, the Storefront is widely celebrated as a model for tower neighbourhood renewal and adaptive re-use of space.